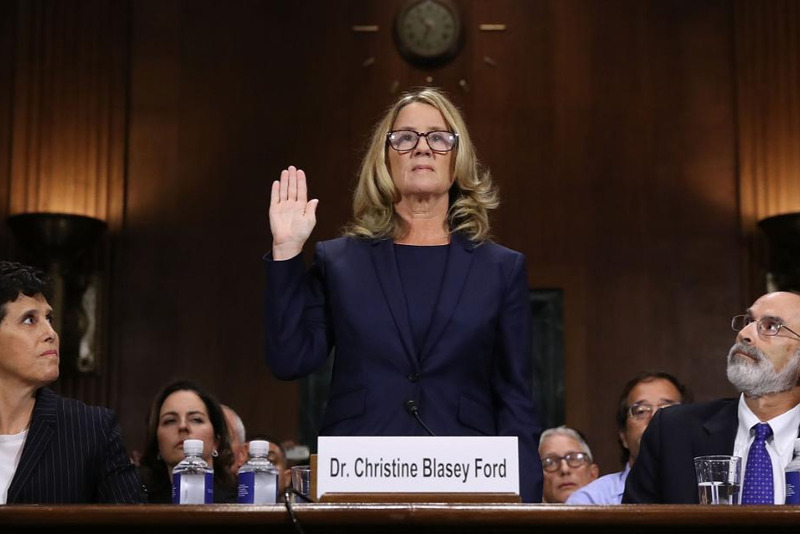 Christine’s words are not adequate to thank all of those who supported her since she came forward to tell the Senate that she had been sexually assaulted by Brett Kavanaugh. Your tremendous outpouring of support and kind letters have made it possible for her to cope with the immeasurable stress, particularly the disruption to her safety and privacy. Because of your support, she feels hopeful that her life will return to normal. The funds you have sent through GoFundMe have been a godsend. Your donations have allowed her to take reasonable steps to protect herself against frightening threats, including physical protection and security for herself, and to enhance the security for her home. As I am not Christine Blasey Ford, I am in need of a back surgery, my healthcare won't cover it and I am unable to afford it. Since I am not a high profile personality, GoFundMe hasn’t produced financial help for me. She used your generous contributions to pay for a security service, which began on September 19 and has recently begun to taper off; a home security system; housing and security costs incurred in Washington DC, and local housing for part of the time she had been displaced. Part of the time she has been able to stay with her security team in a residence generously loaned to her. Although coming forward was terrifying, and caused disruption to her life, she says that she feels she is grateful to have had the opportunity to fulfill her civic duty. Having done so, she is in awe of the many women and men who have written her to share similar life experiences, and now have bravely shared their experience with friends and family, many for the first time. She sends you her heartfelt love and support, and I too if you are able to donate.